You know what we realized today? That we have yet to give away a Nexus 7. Almost can’t believe it took this long. So, as we head into the weekend, we thought it was a great day to reward one of our fabulous Droid Life community members with the hottest tablet on the planet. Stay tuned though, as we have so many amazing contests and prizes lined up for you to win over the next few weeks. In fact, our 2nd annual Reader Appreciation Week is just around the corner. As you may have guessed, it will be bigger and badder than ever. For now though, it’s Nexus 7 8GB time! 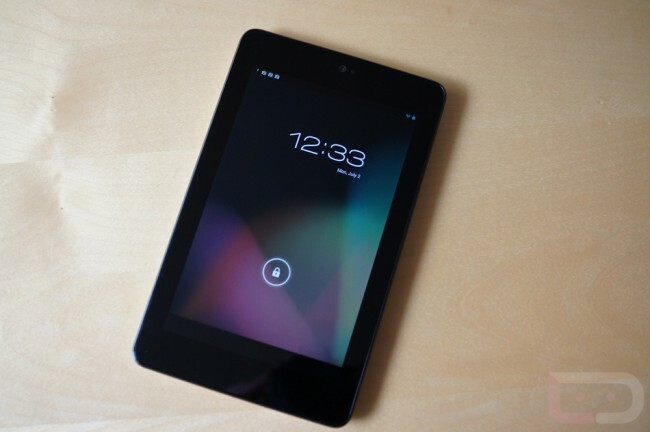 1 Nexus 7 8GB up for grabs. Winner will be picked today at 3PM Pacific. Update: We have our winner! Stephan Buckley whose favorite app is Pod Kicker. Thanks to the nearly 2800 entries we received! You guys and girls rock! 1. Follow us on Twitter, Facebook, or Google+. 2. Share the contest through whichever of those social networks you feel like. 3. In the comments, tell us your favorite new app of the last month. At 3PM Pacific (today), we will choose one winner randomly from the comments. Motorola Tells Us to Save the Date on September 5, Possible RAZR HD Unveiling?